Teacher(s): prof. Dainis Lesins, asoc.prof. Liga Skarina, asoc.prof. Eugenia Loginova. Requirements: to prepare some sketches of your design for painting on 2 porcelain plates (25cm) and 2 cups. Working tools (various brushes, palette scraper, pen with a nib and etc.) shall be taken along with you. Accommodation & working material cost for all participants – local & international: 180 EUR (see details below). Please send a short motivation letter (mention also your home university, study level, contacts) and some photos of your art works (could be portfolio, electronic version or web link) to the e-mail address: sympo.lv@gmail.com. Students’ porcelain painting praxis will take place within the framework of the International Porcelain painting symposium ‘Together’. The students will be given a unique possibility to be introduced to professional artists, their oeuvre. Symposium participants come from different countries – Lithuania, Germany, USA, Poland, Spain, South Korea, Turkey, Russia and Latvia. During the course the classical overglaze painting technique will be taught to the students. It is envisaged to provide an intensive study course – lectures, workshops, professional practice and evening seminars by demonstration of individual presentations of participants. Assignment: The course is focused on overglaze painting. A simple shaped porcelain ware will be given and used. Envisaged results: Students are taught and are acquainted with the work process of overglaze porcelain painting technique. Venues of the symposium – a splendid and picturesque resort by the seaside in Jurmala. Participation fee is compulsory for all the participants, for students (with discount): 180 EUR. It covers costs of accommodation in double room, working materials and firing. Catering is not provided, but each room is equipped with fridge, teapot, microwave. The workshop which is intended to commemorate Centenary of the BAUHAUS! One hundred years of Bauhaus means one hundred years of a transregional, transcultural and transnational approach on design. In the 1920 and early 30s, the Bauhaus idea found its way to Shanghai, China’s world metropolis at the time, via Japan. Few people in the West are aware of the fact that in Asia, modern design methodology was synced to a process of re-thinking traditional values in visual culture in the quest for a contemporary cultural identity. Theory: Let us look at how the Bauhaus idea impacted on Japan, China, India, the Arab world… and how it helped resonate local visual tradition. Practice: Let us create—with minimal means—an experimental multilingual typeface from the building blocks of Bauhaus. It can comprise both of letterforms or pictoral elements. 2. Introduction (presentation part 1): Bauhaus. An international phenomenon. The West. Migration of people and ideas, media revolution and the new interconnectedness (60 minutes). 1. Introduction (presentation part 2): Bauhaus. An international phenomenon. Asia (60 minutes). Those who are interested could stay one day longer (leave on 19th of April), and could use the day building fonts and immerse a little into this field on a casual eye-to-eye basis. Applications should include your name, surname, home school, study year and level, a Motivation statement (max 250 words), a link to your portfolio and CV. The teacher of the workshop – Roman Wilhelm (*1976) is a substitute professor of typography at the Braunschweig University of the Arts, Germany. He studied under Prof. Fred Smeijers for a typeface design master’s degree at the Leipzig Academy of Visual Arts. His multilingual typefaces are distributed by Arphic (Taiwan) and on Fontspring. Requirements: Open for all CIRRUS institution students in the fields of communication, design and fine arts who are interested in gender and equality issues. In this workshop we look at images from a feminist perspective. We think about how gender, race, class, age, sexuality and ability are being represented in the media and the visual arts. In other words, we practice an intersectional gaze. Through case examples and assignments we learn how to identify and dismantle normative representation of gender for example. Images maintain norms but they can also decode them. Images are never mere representations but they also produce reality. The images we make and choose have real effects in the society and that is something one should be aware of. In this course, we consider what is the author’s responsibility. Are there influencing possibilities. We also discuss who ultimately benefits from the norms. In addition to portraits and images of people, we also discuss how, for example, typography or other design choices can get gendered meanings. The workshop will take place as a weekend course with a focus on discussions. Before the workshop, the participants read a few articles to familiarize them on the topic. On the basis of the workshop, the students will complete a final assignment that will be shown at the Henkilökuva aikakausmediassa Seminar in May. The Faculty of Telšiai (Vilnius Academy of Arts) is hosting a Cirrus express course: “Ceramic shell bronze casting – The Transformative Power of Fire and the Furnace”. Teaching period: from the 8th April to 19th April 2019. The Jewellery and Metal department of the Academy of Arts will host a workshop on the process of lost-wax casting in bronze, using the ceramic shell method. The course will be taught by David Snoo Wilson and Tom Railton, formerly of the Royal College of Art foundry. Students from all Cirrus institutions are invited to attend the course. The materials will cost 15 Euro for each participant after arrival. The course is led over ten days, allowing time to experiment with materials and process, so the scale of the sculptures should be manageable within the time: the size of a hand or smaller. Students will develop their ideas, each applying the principles to their own practice towards a new work in the medium, discussing and displaying them together. Students are asked to direct their work towards the chosen theme: ‘Alchemy and Foundry: The Transformative Power of Fire and the Furnace’. During the course, talks relating to the content will take place. Applications should include your name, surname, home school, study year and level, a motivation statement (max 250 words), a link to your portfolio and CV and phone number. David Snoo Wilson is a founder and artist that has been teaching bronze casting for the last 10 years, most recently at the Royal College of Art, London, UK. Uniquely at the heart of his studio practice is the beautiful alchemy of melting metal. Specialising in bell casting and surrounding technology, he uses a mobile foundry to cast bells in many locations outside of the traditional industrial set up, creating a spectacle and a show. Tom Railton is a multidisciplinary Sculptor who has exhibited internationally; he currently works for the Royal College of Art and teaches throughout the UK. we will have a close look on tools for capturing and understanding people´s behaviour and reaction but even before: how to design a participative design process, what is the impact of mock-ups, why does an iterative approach is so helpful, how to organize, do and present all documentation. Additional information:Teacher Martin Foessleitner (MBA Vienna University of Economics and Business) – founder and managing director of High-Performance Vienna GmBH; board member of International Institute for Information Design; board member of designaustria; jurymember of the European Design Award. Experience sharing and teaching at Sigmund Freud University Vienna, Danube University Krems and University of Applied Sciences St.Pölten in Austria. The aim of workshop is to explore the possibilities of foil-print and foil-tooling technologies, as well re-using printed matter in creating an artist book. The students will be introduced to techniques such as hand tooling, cliché print, foil drawing, digital foil-print and other foil transferee possibilities. Requirements: course is open to BA and MA students but applicants should have finished at least 1 year at the bachelor level in design or art. Requirements:Student applicants should have finished at least 1 year at the bachelor level in design or architecture. 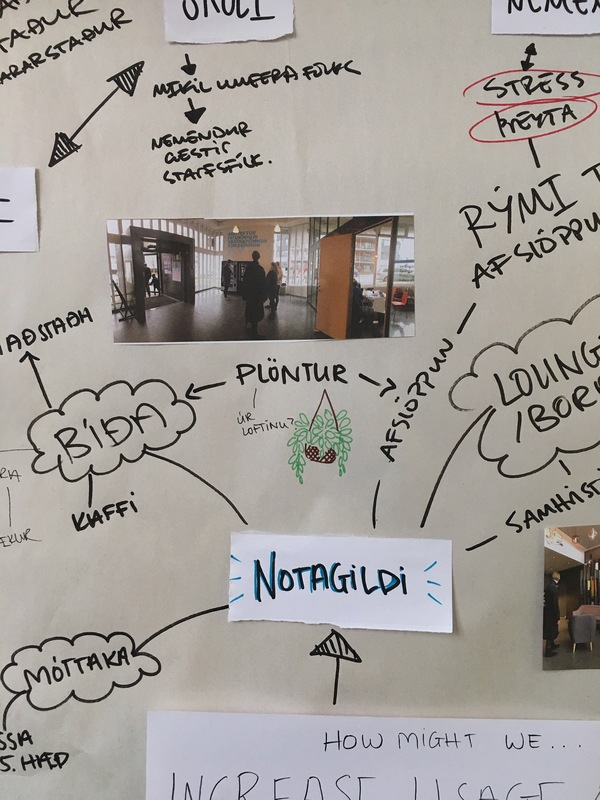 How to apply:Send your full name, name of home schooland name of the programmeyou study in + a letter of motivation(1 page), outlining relevant skills and discussing how the student would like to benefit from the course to ari@usestudio.dk and marteinnsindri@lhi.is. The course Together: Platform is about social design and social change in a hyper-local context, departing from the notion that change starts at home. In the course students develop platforms in the context of their own learning environments, aimed at social and cultural change. The course takes place in and around the building of the Department of Design and Architecture. Students learn to iterate questions about their own circumstances using methods aimed at shared ownership and collective action. Students work in small groups and develop contextualised projects engaged with social challenges within and without the immediate environment. Interior Design Department at Vilnius Art Academy will host a workshop for senior course students of interior design and architecture in Nida Art Colony and invites interested students from all Cirrus institutions to attend the course. former Senior Designer – Manager Tiffany & Co. The course is aiming to extend theoretical knowledge on interior and architectural lighting, including overview of lighting design techniques, tools and methods and comprehensive application study for both residential and commercial applications – mixture of lectures on theories for light accompanied by hands-on training with floor plans and elevations. Some aspects of theatrical and stage light design process will also be reviewed.  October 21st – leaving back to Vilnius till 1PMExternal participants will be accepted based on application and motivation letter. Please send your application to Elena Černiauskaitė (elena.cerniauskaite@vda.lt) no later than the 11th of October, 2018. The selected applicants will be informed about further details on the 12th of October, 2018. Cirrus express course is based on collaboration between Vilnius Academy of Arts, Kaunas Faculty Textile Department and Estonian Academy of Arts, Department of Textile Design. During the creative workshop we will develop functional textile/design ideas that are related to Nida’s stories/”fossils”, i.e. legends, local tales, emotions, humour, tourism, etc. Collecting, gathering, archiving, processing and creative interpretation of local experiences will take on new forms of textile design. During the workshop we will practice the techniques of collaboration work in groups, observation, experience sharing and application. During the express course we will combine and share cultural stereotypes, idea development, textile design, creative research, and practices of international reproduction. We will have an open discussions and presentations of designed objects. The presentation of designed objects/prototypes will take place in Nida and Nida Art Colony’s spaces. Vilnius Academy of Art is hosting a Cirrus express workshop“SCULPTURAL RESEARCH” on draping, sculpting, pattern-making in Nida Art Colony. Teaching period: 24th May – 04th June, 2018. Students from all Cirrus institutions are invited to attend the course. CIRRUS/Nordplus grant available: 330 EUR travel (Iceland 660 EUR) + 70 EUR weekly. a new generation of young designers through direct methodology. – To showcase new opportunities and constructive experimentation as a source of new creativity. – To improve and support the professional development of design students as emerging designers. hands-on program for fashion and costume designers dedicated to break out of the traditional silhouette. development – draping, sculpting, creative pattern-making. – How to create a concept for further design development. – How to combine concept and form. – How to advance and breakdown the object. – How to pattern-make the V1 object. Dainius Bendikas is a designer and holds a degree in fashion design. An Adjunct in the Fashion Design Department of Iceland University of Arts. His teaching emphasis are on conceptual, technical and functional aspects of fashion, object and product development. Creative and constructive innovation and experimental approach towards objects while synchronizing overall creative direction. Dainius has been creating, instructing and organizing various programs and activities for students by way of courses, collaborations and workshops. Dainius has 7 years of professional experience working with various brands as head designer, product developer, creative direction consultant and has experience in various manufacturing processes. 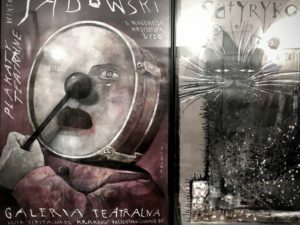 Jurgita Jankutė-Mirinavičienė is a theater set and costume designer. She created scenography and costumes for different plays and contemporary dance performances at the Lithuanian National Opera and Ballet Theatre, National Drama Theatre, State Small Theatre of Vilnius, others. She teaches History of Costume and Costume Construction at Vilnius Academy of Arts. A link to your portfolio and CV and phone number. Application should include your name, surname, home school, study year and level, phone number and e-mail, a short motivation letter and some photos of your art works (portfolio, link or website) to the e-mail address with subject CIRRUS express: sympo.lv@gmail.com.CIRRUS/Nordplus grant available: 330 EUR travel (Iceland 660 EUR) + 70 EUR weeklyCourse description:The course is envisaged as a international student symposium, during which an intensive programme will be carried out. It includes lectures, workshops, professional practice, wood kiln firings (two different technologies: one black – smoked low temperature firing, other – high temperature soda wood firing), attendance of museums, galleries and the participation at the Pop-Up exhibition of the symposium works at the Art Academy of Latvia.Assignment: inspired by the sample of the given pitcher from the historical Latvian folk pottery, the participant has to create self-made design object – a pitcher, the design pearl of the 21st century. One month prior to the symposium, the participants will receive detailed information about the assignment and the photo of the given Pitcher.Envisaged results: students will obtain the knowledge in the field of ceramics design and wood firing technologies by practically developing the project in ceramics. The project works will be displayed at the exhibition.Additional information:Venues of the symposium – Art Academy of Latvia, Riga, City centre. Organizers do not offer accommodations. NEW CIRRUS course in Lithuania. 6 seats available. 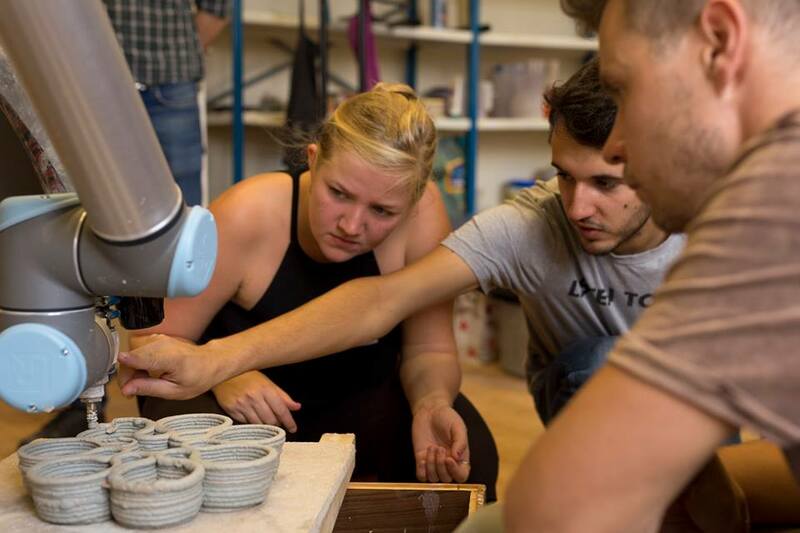 CERAMIC SHELL BRONZE CASTING – THE TRANSFORMATIVE POWER OF FIRE AND THE FURNACE The Faculty of Telšiai (Vilnius Academy of Arts) is hosting a Cirrus express course “Ceramic shell bronze casting – The Transformative Power of Fire and the Furnace”. David Snoo Wilson is a founder and artist that has been teaching bronze casting for the last 10 years, most recently at the Royal College of Art, London, UK. Uniquely at the heart of his studio practice is the beautiful alchemy of melting metal. Specialising in bell casting and surrounding technology, he utilise a mobile foundry to cast bells in various location outside of the traditional industrial set up to create a spectacle and a show. CIRRUS intensive workshop “Triangles – letters, type, languages and cultures“ in Klaipėda. The technology of writing is a key factor of human society, and the development of specific writing systems crucially define local identities. Contemporary media being unthinkable without fonts, typeface designers and lettering artists are at the helm of a continuing process of cultural identity building, across borders and political spheres. In Klaipėda, the first printed Lithuanian book was recently on display. Printed in what was then the city of Königsberg by a Prussian letterpress, it is an example of simple technology transfer. Although blackletter lost its position as a reading typeface style even in Germany, vivid traces of the „broken script“ are still present in Poland, Lithuania, Latvia, the UK, France… the following lettering workshop deals with the question, whether Roman, Cyrillic and blackletter can be imagined and developed together, like an imaginary triangle, at the same time. Take a flat pen, write three scripts together. Blend them, combine them, set them apart from each other. Bring them alive together. Let them speak to each other. Starting from a spontaneous impulse, we will develop a simple set of typefaces in the Roman, Cyrillic and Blackletter. No full set of characters has to be finished in the short timeframe, though. Everyone is free to chose the tools at hand: a pen, collage, pencil and drawing board, or digital tools such as Illustrator, FontLab or the Glyphs app. Full assistance is guaranteed for all these tools. The final outcome can be a sheet of calligraphic writing, a lettering sample, or a simple digital type specimen. The final discussion will address the experience of a multi-script approach to lettering practice. 3 students will be selected from Cirrus network partner schools. The workshops are open to students of various graphic specialties also for students, interested into calligraphy, lettering and multi-script typeface design. The teacher of the workshop Roman Wilhelm (*1976) a Berlin-based visual communication designer. A Berlin-based visual communication designer, Roman studied at Burg Giebichenstein University of Art and Design Halle (Saale) in Germany, and under Professor Fred Smeijers for a typeface design master’s degree at the Academy of Visual Arts Leipzig. He was a member of the Multilingual Typography Research Group led by Professor Ruedi Baur at the Zurich University of the Arts, apart from conducting lettering classes and workshops throughout Europe and Asia. A fluent Chinese speaker, his work focuses on cross-cultural mediation, bilingual typography and typeface design. A frequent visitor of Asia, he has taught at various academies such as the China Central Academy of Fine Arts in Beijing, the Hong Kong Polytechnic University, as well as the Seoul National University. In 2015, he was an artist in residence at the Hong Kong Baptist University and participated at the Typojanchi Biennale in Seoul. Roman was a presenter at the AtypI conferences in Hong Kong (2012) and Warsaw (2016). His passion for language and writing has led to a strong immersion into calligraphy, lettering and multi-script typeface design. 13.00-14.00 Introduction (presentation). Lithuania, Russia, Poland, Prussia – depiction of a regiona media system through the centuries. Letterpress, migration of people and ideas, media revolution and the new interconnectedness. End of workshop. Final shared presentation and discussion of outcome, comparison of the spontaneous day one experiment with the final designs. Urban Gaming WorkshopUrban Gaming workshop is a Cirrus Intensive Course organized in Vilnius by Aalto University, Vilnius Academy of Arts and the Icelandic Academy of Arts.The workshop theme is public space communication and intervention by means of participatory games and act of playing – in other words, benign gamification of urban and social design. In the workshops, the participants will create concepts for different kinds of participatory games taking place in public space. By site-specific approach, the communication can be delivered to the specific part of the city concerned or the whole city.The teachers in charge of the course are Tarja Nieminen, Ausra Lisauskiene, Sam Rees and Lode CoenWe are looking for five (5) participants from CIRRUS schools (other than the organizing ones, that is) to participate in the workshop. The course is targeted to visual communication, graphic design, media, design and architecture students, but also others are welcome to express their interest. Both BA and MA students can participate. Aalto University will arrange flight tickets and accommodation, and there will be a number of meals included.The call for participants is open 27.11.-5.12.2017 and if you are interested send Tarja Nieminen (tarja.nieminen@aalto.fi) a motivation letter and either a pdf portfolio of about three relevant projects (please mind the size of the file) or link to your net portfolio. The selection criteria are the motivation and building a multidisciplinary group with diverse skills and experience.The results will be announced on 8.12.2017 and all students will be informed on them. Those selected to participate will receive information on what to do next.If you have any questions on the application process, please be in touch with Hanna Karkku (hanna.karkku@aalto.fi). The Faculty of Fine Art, Music and Design, University of Bergen, will host a workshop in digital weaving, and invites students from all Cirrus institutions to attend the course. • Development of ideas and visual starting points for further processing into woven expressions. • Theory on principles and testing of methods for creating motive / pattern / texture / volume. • Introduction and use in bindings and composition in 2 or more thread systems. • Testing opportunities for variation in yarn types, density, texture and colors. • Introduction and specialized use of software: Weavepoint, Photoshop, Nedgraphics (Texelle / Product Creator). Participants should make a project description, plan the work and collaborate on the implementation of the project. The work must be documented and presented for the group. The Department of Fine Art collaborates with one of the leading weaving companies in Norway, and if the timing fits into their program, the course participants will, at the end of the course, be given the opportunity to produce works prepared during the course at Innvik AS in Stryn. External participants will be accepted based on application and motivation letter. Please send your application to tale.vik@uib.no no later than 24 November. CIRRUS grant: 330 EUR travel (660 Iceland) + 70 EUR weekly allowancePlease send a motivation letter to Asta Jackute by e-mail: asta.jackute@vda.ltApplication deadline: 9th of November, 2017. Decisions on selection are announced by November 10th, 2017. Graphic Design department of Vilnius Academy of Arts is hosting Cirrus express course/workshop on poster design. The workshop consists of joint lectures. Students will create a contemporary posters using different materials and techniques.3 students will be selected from Cirrus network partner schools.About lecturerEsa Ojala (https://goo.gl/p47SXv) is one of the founders of the Finnish design school creating the projects of visual communication design that meets the highest international standards. The designer leads international workshops at Finnish design schools, including Aalto University, and awarded for the merits of Finnish design and culture throughout the world (State Design Award 1990; Best Graphic Designer of the Year 2000, etc. ), which published important essays on contemporary graphic design (Essa Ojala’s POSTERS 2000; Esa Ojala IDENTITIES (2006).Timetable Monday 20th09:00 – 12:00 Presentation lecture of the workshop.12:00 – 13:00 A break.13:00 – 17:00 Students are working Tuesday 21st Wednesday 22nd Thursday 23rd 09:00 – 12:00 A brief discussions and work in creative process.12:00 – 13:00 A break.13:00 – 17:00 Students are workingFriday 24th09:00 – 12:00 Workshop continues12:00 – 13:00 A break13:00 – 17:00 The continuation of the work; final talk and presentation on the final works. Closing of the workshop. 2 ECTSPlease send a motivation letter to Asta Jackute by e-mail: asta.jackute@vda.ltApplication deadline: 9th of November, 2017. Decisions on selection are announced by November 10th, 2017. Graphic Design department of Vilnius Academy of Arts is hosting Cirrus express course/workshop on Practical theory workshop. Students will create visual scenarios and stories using different innovative visual methods.3 students will be selected from Cirrus network partner schools.About lecturerGediminas Šiaulys (www.gedsia.com ; behance.net/gedsia) is an animation director, visual artist and a co-founder of a studio PetPunk (Vilnius, Lithuania). The artist’s primary areas of interest lie in animation, tactile crafts and various experiments within these fields. This leads to authentic work that is visually and aesthetically challenging, yet peculiarly subtle. Gediminas’ works gained recognition by world’s leading art & design magazines and became “New Eastern European Design” synonym. In 2009 Canadian Boards magazine included PetPunk in top 6 of “New Wave of Designers”, while in 2010 UK’s leading design magazine Computer Arts featured PetPunk as “The New Wave of Animation”. Gediminas Šiaulys together with Petpunk are the first Lithuanians to win the “Young Guns” prize by the Art Directors Club in New York and have been invited to numerous international festivals such as the European Design Conference (Stockholm), Visuelt (Oslo), PICTOPLASMA (Berlin), Onedotzero (London), Anima (Brussels), Arsenale (Florence), Holland Animation Film Festival (Utrecht), 5th Istanbul Animation Festival (Istanbul), Huesca Film Festival (Huesca), Off Motion Festival (Krakow), DesignFLUX 2007 (Paris).Timetable Monday 20th09:00 – 12:00 Presentation lecture of the workshop.12:00 – 13:00 A break.13:00 – 17:00 Students are working Tuesday 21st Wednesday 22nd Thursday 23rd 09:00 – 12:00 A brief discussions and work in creative process.12:00 – 13:00 A break.13:00 – 17:00 Students are workingFriday 24th09:00 – 12:00 Workshop continues12:00 – 13:00 A break13:00 – 17:00 The continuation of the work; final talk and presentation on the final works. Closing of the workshop. The Faculty of Klaipeda (Vilnius Academy of Arts) are hosting joint Cirrus workshop “Extended drawing” in-between architecture/printmaking/research in Klaipeda. The workshop aims to reveal possibilities and potentialities in between architectural research and graphical research from a craftman’s point of view – through drawing and making that is. By combing architectural design thinking, drawing and graphical reproduction we will look for a new kind – extended – craft or practice. The experiments which will lead to this result will reveal possibilities of “extending” as a valid way to find new ideas, techniques and practices. During this workshop we will make and explore a basic spatial structure, look for ways of communicating its qualities and inquire possible ways of imagining those qualities on a two dimsnional carrier. By combining drawing and reproduction we will reinterpret the final outlook of the structure. The workshop involves collaborative reasoning, making, drawing and printing. The final product of the workshop will evolve during the sessions by collaboratively negotiating the final outlook of the presentation/exhibition. part 3 (re)presentatiion concluded with a critical/reflective open exhibition. 6 students will be selected from Cirrus network partner schools. The workshop are open to students from disciplines: Interior design, Graphic design, Architecture and sculpture/ 3D design. The teacher of the workshop is dr. arch. Robin Schaeverbeke, lecturer Mixed Media KU Leuven Faculty of Architecture. draughtsman within Beaux-Arts methods of (architectural) drawing at the Academy Of Fine Arts, Bruges. 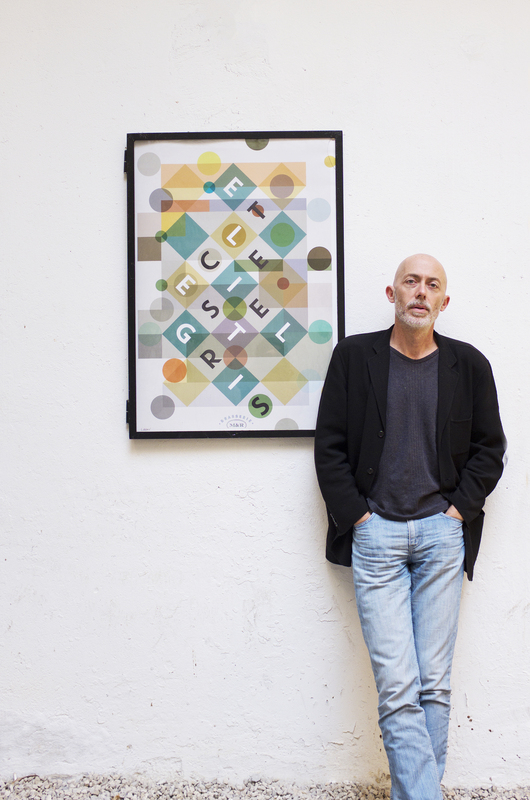 His active and passive interest in musical improvisation led to a thesis which explores the concept of improvisation in design and drawing processes. During this workshop students will get an insight into using blender as a formidable open source alternative to programs that are either vastly expensive or that are only available through subscriptions that bind the user to a product and that create long term costs that are problematic for artists to deal with in their professional life. While blender offers a huge spectrum of possible areas to work in we would focus on the specifics of combining real world with animated elements, thus providing a tool for design and fine art students to work with on future projects that are either study related (ie film projects in the area of animation) or wider set (ie creating visuals for architectural or sculptural applications). In the three days of our visit we’ll provide the basic set of skills for using blender on any computer system students bring to the class, showing step by step the different stages of creating a scene, integrating video layers, working with tracking systems and so on. Emphasis is put on working phases that offer ample time for students to transfer the shown steps to their own project. The teachers of the workshop are: Oliver Wetterauer (Teacher, Digital Media, Fine Art) and Volker Menke (Teacher, Digital Media, Architecture) State Academy of Art and Design Stuttgart. Oliver Wetterauer. Since Oliver Wetterauer got a degree of Arts in Fine and Performing Arts in 1995 he had a teacher position Media lab of the fine arts at the department Stuttgart Art Academy (Staatliche Akademie der Bildenden Künste Stuttgart). O.Wetterauer participates at the Art exhibitions constantly. He also gives lectures around the world: the University of Southampton Winchester School of Art, the Iceland Academy of the Arts, Eugeniusz Geppert Academy of Art and Design in Wroclaw, the Eesti Kunstiakadeemia Tallinn and many more. Volker Menke. Since Volker Menke got a degree at University of Applied Sciences, Civil Engineering in 1999 he had a position scientific Assistant: Labor für Bauinformatik (laboratory computer science for civil Engineering), Detmold 1999-2000. Since 2000 V.Menke has a teacher position at the Architecture department Stuttgart Art Academy (CAD Labor für Architektur at the Staatliche Akademie der Bildenden Künste Stuttgart). Apply by sending a brief motivation letter and work examples (max 3) to Ingrid.Aarset@uib.no no later than 1 August. The aim is to show a lot of possibilities when processing textiles, using printrelated techniques in different manners and to show how this processing developes ideas and open up for new visual languages. There will be lectures on art projects related to the medium. The course will provide a basic introduction to the use of fiber reactives dyes, specifically developed for textile materials, pigment dyes, resist printing, discharge printing, digital printing with fiberreactive dyes, devoré and monoprinting with silkscreens. There will be theoretical introductions to each new theme followed by practical tutorials in the studios. The students will acquire individual experience and get to know the workshops very well. Requirements: the course is suitable for visual communication students as well as fine art (printmaking). Minimum year 2 bachelor. Master students are welcome as well. 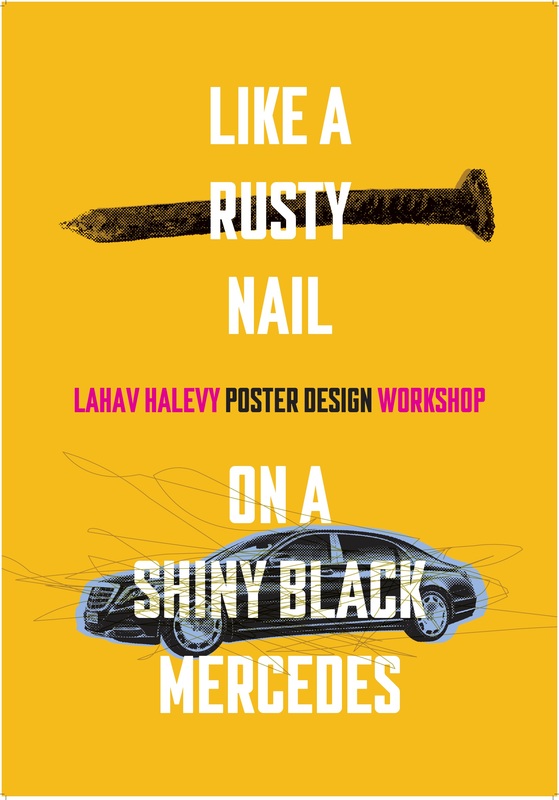 One week intensive workshop in poster design/making, organised by Iceland Academy of the Arts, Reykjavik with the non-profit organization Stowarzyszenie Ogrody Sztuki and the Poster Gallery in Kraków. Exhibitions of the Polish Poster will be will be in Reykjavik at three locations opened at same time as the workshop. Application deadline: 11th of April, 2017. Decisions on selection are announced by April 13th, 2017. Graphic Design department of Vilnius Academy of Arts is hosting Cirrus express course/workshop on poster design. The workshop consists of joint lectures. 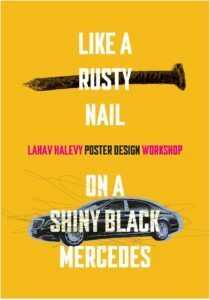 Students will create a contemporary posters using different materials and techniques.2 students will be selected from Cirrus network partner schools.About lecturerLahav Halevy is the owner of one of the leading Graphic Design and Branding firms in Israel “Blue Collar Group” (www.bluecollar.today). He is a political activist who uses both his abilities as a designer and a citizen to fight for what he believes in.TimetableMonday 24th09:00 – 12:00 Presentation lecture of the workshop. 12:00 – 13:00 A break. 13:00 – 17:00 Students are working in the groups.Tuesday 25th ; Wednesday 26th Thursday 27th, 09:00 – 12:00 A brief discussions and work in creative process. HDK – Academy of Crafts and Design offers a summer course open for students from the Cirrus network. The course is addressed to students with experience of working with ceramics who want to try new expressions through wood firing. We start with an introduction to the wood firing field and Anagamafiring where we explain how you can work both practically and artistically with wood firing. The introduction will take place on June 12. (It is desirable but not mandatory to be in Gothenburg for the introduction on June 12. If you cannot make it, we will arrange a Skype section). After that, you have a period of own work where you deepen in an individual project. Your own artistic approach/artistic expression will be the starting point, let the theoretical information from the first meeting be help in the work. The project has to be done in your own studio, there isn´t any possibility to work at HDK. You will then bring your project to Gothenburg, so be aware of that the pieces are not too big and ungainly. August 19 – August 27, we will do a common Anagamafiring at Nääs. Here you will have teacher led instructions and briefings where theory around the different wood firing techniques are followed by practical work. During this week, you will also present your artistic work and how you have worked with your own project. In the end of the week, we will evaluate and analyse the result from the wood firing. Back home you will end the course by handling in a description of your project in both text and pictures where you tell about the working process, the result and what you think about the possibilities for you to use wood firing in the future in your artistic work. The wood firing will take place at HDK´s wood firing “open air laboratory” about 30 km from Gothenburg, close to Nääs castle area in Floda. Here we have several wood-fired kilns. The work during the week will be very intense, with different on-going work shifts. You will stay at Nääs hostel and we will cook together. Expenses for food and accommodation are upon you. 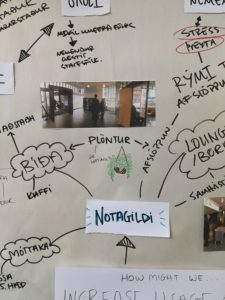 https://vimeo.com/user432668273 students will be selected from Cirrus network partner schools and are entitled to CIRRUS scholarship (330 EUR travel/660 Iceland) + weekly allowance 70 EUR.Timetable Monday 20 th9 – 12 pm Presentation lecture of the workshops – mixed media artist Roma Auškalnyte. 13-17 pm An informal review of students works (students should bring USB, or have themselfs works on a web page), visit to studio, discussion (familiarity with the workshops participants-tea, bisquits, other suggestions? :) Thursday 21st „THE TEXT“09- 10 am A brief lecture and discussions showing artists works and samples; a talk on the tasks of the day. 10-12 pm Preparation of space and a small exercise. 13-17 pm Experimental Graphic Workshop.Wednesday 22 nd „THE BODY“9-10 ap A brief lecture and discussion are showing artists and works and samples; a talk on the tasks of the day. 10-12 pm A small warm-up exercise. 13-17 pm Experimental Graphic Workshop.Thursday 23 rd „THE TEXT“9-10.30 am Presentation of Klaipeda, and the history of writing and books. The lecture leads guide educator Agne Jonikaitytė (The History museum of Lithuania minor). 10-12 pm The ending of the session and discussion on the continuation of the works, a small warm-up exercise. 13-17 pm The continuation of the work; final talk and presentation on the final works. Closing of the workshop. There is a registration fee 25 EUR to every student taking part in this event (not only CIRRUS students) that must be covered by the CIRRUS students as well. Two seats have been reserved for CIRRUS students exclusively, so you don’t need to register at the web site of the event now, but after you have been granted a scholarship through CIRRUS. Everyone, who wants to join the event anyway (with or without grant) is welcome to register already now. The legendary Garage48 Hardware & Arts 2017 hackathon will be happening already on the 17-19th of February in Tartu, Estonia. The Garage48 Hardware & Arts hackathons are one of the most popular events in the Baltic region to build physical working prototypes! UI/UX and product designers, electronics, mechatronics and software engineers, marketers and science professionals are all welcome to build innovations in just 48 hours! All the mentors, organisers and volunteers of the event are all active members of the ICT sector and hardware industries, giving the teams the best know-how and motivation to deliver their prototypes. All available equipment and materials during the hackathon will be listed in our blog. We will arrange buses leaving from Friday on route Tallinn-Tartu and back on Sunday evening straight after the event. The rest of the trip should be organized by the student him/herself. marja.nurminen@aalto.fi by 18th of January, 2017. The selection is made in two weeks’ time and all students will get a notification by 1.2.2017. How many places: 3 students from CIRRUS member schools will be selected.Accommodation: students will be accommodated free-of-charge in a hotel or hostel in Helsinki with easy public transport connections to the workshop site. Mobility support: We will buy the flight tickets. Description: Drawing is generic activity cross all disciplines in art, design, film, media, applied arts and architecture. Designers and artists, due to differences between the disciplines, often see it very differently and it often functions in very particular and individual ways. Overall objects of the workshop: Supporting educational innovations in drawing (art) education, where teachers become co-learners instead of authorities, hierarchies in knowledge are not accepted. Furthermore, supporting networking and collaboration of students over all kinds of borders is important for us. (working hours 9 am to 5 pm every day). Give access to knowledge relevant for artistic development through theory, digital tools and practice in the studio for weaving. To find new ways of building textiles in 2D and 3D by use of construction in combination with materials, textures and colours. Basic and complex theory on weaves. Construction of weaves and combinations in one or more layers / systems. Individual tutoring in the process of transforming ideas into the medium of textile. Experiments/ sampling in workshop by using: Digital dobby looms, TC-1, TC-2 and the old jacquard loom with a new digital system. Preparing files for hand-weaving and/or industrial production. Study trip to a weaving factory. The program for week 4-5 will be organized as a core course for internal students with access to the same tools. The guest students who prefer to join will be able to adjust their program according to their background. Week 6 include no teaching, but the workshop will be open and the part time technician will be there. The program for week 7-10 will be adjusted to the (partly new) group and followed by theory and tutoring in groups and individually. Apply with a brief motivation letter and a few work samples to tale.vik@khib.no. Please state in the application which period you are applying for! A seminar focusing on thinking and contextualizing through material; to give value to presence, insight and intimacy in experimenting, to investigate and develop a process where the making, the adjustments, the adding and subtracting are vital elements in developing visual and material art. Malcolm Innes specializes in architectural lighting, design education, interactive and kinetic art. He helped to earn IALD award (the highest recognition of the lighting design field) to the one of the strongest lighting companies in the world Speirs + Major for the Grand Mosque in Abu Dhabi, the interior of Barajas airport in Madrid, public spaces in Glasgow, Copenhagen Opera House lighting solutions. The natural environment is a constantly shifting wonder of light, shade and colour; with cycles of days and cycles of seasons; subtleties of shifting patterns, colour and other intangible qualities of light allow us to locate ourselves in place and in time. Yet, too often, our man-made environment ignores these natural rhythms and provides the coolness, pattern and variation of a permanently overcast day. However, with skill, knowledge and creativity, practical and pragmatic solutions can be found to enhance the built environment, to tell a story or express a mood, even to enhance nature, but above all to reinsert the dynamic that bad lighting so often extinguishes. The lighting technical capabilities and local modeling nuances will be presented, the lighting market and the theory of innovation, the use of different light sources, principles, simple and effective ways to simulate lighting will be introduced to you. Small group projects will be created and presented as the final works of the workshop. The workshop is organized by the VAA VF Interior Design Department. Teachers: Tinna Gunnarsdóttir, professor in Product Design at IAA, Gardar Eyjolfsson, programme director in Product Design IAA, Lennart Mänd, professor in Leather and Accessory Design at Estonian Academy of Art (EAA) and Aivar Habakukk, professor in Product Design at EAA. Further teachers to be announced. How to apply: Send your pdf portfolio (max 5 works) to Tinna Gunnarsdóttir (tinnag@lhi.is) no later than November 1, 2016. How many places: 6 students from CIRRUS member schools will be selected. Accommodation: Students will be accommodated free-of-charge in a student hostel in Reykjavík (2-4 persons shared rooms). This is within a walking distance from the Academy. Mobility support: The six selected students will receive a travel grant of 600 EUR each. Description:The focus of the workshop is the significance of the horse in Icelandic culture. It concerns traditions and current situation of horse use in Iceland through lectures, visits to horse breeders, local companies and workshops, as well as riding excursion in unique surroundings. Sustainability is an overarching topic of the workshop.Overall objects of the workshop: To create awareness and initiate debate about animal waste utilisation. To learn using traditional and historical materials. To understand sustainable way of using materials. To initiate cross-cultural debate about different ways of animal waste utilisation. To create different design concepts and objects from horse waste.Goals:Critical analyses of sustainable and ecological aspects of horse breeding. Understanding the significance of horses for the area and its people. Building cross-cultural ties between different countries, cultures, and traditions. Getting acquainted with various methods during the research based design process.Course content:-Introductory lectures on sustainability, horse breeding, cultural significance, unique characteristics of the Icelandic horse, utilisation and waste material. -Visits to local companies, workshops, museums, and breeders. -Research based methods; filming, documentation, sketching, prototyping using equine materials. -Excursions to gain physical proximity to the Icelandic horse, visits to breeders and horseback riding tour. Final presentations, wrap-up and feedback.Outcomes: Critical reflections and awareness of traditional and innovative use of the Icelandic horse, both as a being and a material source, can render further understanding on sustainability and possibilities therein.Literature: Small is Beautiful by E.F. Schumacher, The Craftsman by Richard Sennett. Hross í Oss / Of Horses and Men (film by Benedikt Erlingsson),Particpants:10 students from the Iceland Academy of the Arts, 4 students from the Estonian Academy of Arts, and 4 students from the University of Lapland. Additionally, 6 students from other CIRRUS member schools will be invited to take part in the intensive course.This intensive course is supported by Nordplus Higher Education programme of the Nordic Council. The course is a collaboration between Estonian Academy of Arts, Iceland Academy of the Arts and University of Lapland. Graphic Design department at Klaipeda faculty of Vilnius Academy of Arts is hosting Cirrus express course/workshop on drawing/illustration and self-publish magazine. The ISO container has become a symbol of the global trade. It has become a familiar sight at the edges of the inhabited areas in all countries of the world. During this hands-on workshop we will investigate where are containers in and around Klaipeda and what stories do they tell us. How can we convey these stories with drawing/illustrating. Each participant will design a poster / double page for a self-published magazine. The workshop consists of joint lectures and visits as well as of group work with final presentations. All participants will be briefly introduced to the history of Klaipeda and could also put hands on self-drawing, iliustration, self-published magazine making process. The short and intensive format of these courses allows students to immerse themselves in the creative life of Klaipeda and collaborate with Klaipeda faculty students while building a network of contacts. 4 students will be selected from Cirrus network partner schools and are entitled to CIRRUS scholarship (330 EUR travel/660 Iceland) + weekly allowance 70 EUR.